Hercules has extensive in providing access solutions to some of the UK’s largest commercial fit-out and FM companies. Great emphasis is designed into a solution to accommodate the general public that might still be using the building while the fit-out programme is in operation. All CDM / H&S aspects are scrutinised to ensure the scaffolding design and execution meets and exceeds the client’s expectations and regulations, in many cases allowng the business to carry on trading during the works. TG20:13 Scaffold engineer drawings, liaison with the local authority, operational exclusion zones, safety crash decks, pedestrian fans, out of hours working, site containment and encapsulation, good hoists, hoarding, temporary lighting, alarms and CCTV are all provided by Hercules. Hercules Scaffolding also specialises in listed buildings and office renovation works. Hercules Scaffolding is London’s premier scaffolding contractor & consistently delivers projects in a cost effective, professional and timely manner. 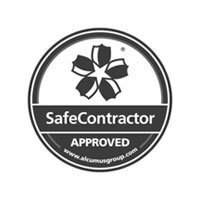 Hercules Scaffolding holds numerous professional accreditations which hold us to high standards. In addition, the throrough Risk Assessments & Method Statements we produce make us the natural choice for you project. We’ve worked with architects, major retailers and property developers and have achieved excellent results in the past.